One of my earliest memories is seeing Jurassic Park in the cinema at the age of six, head firmly in my mother’s lap as I practically shat myself watching velociraptors terrorise a couple of kids in a kitchen. As horrifying as it was to watch, the film is a piece of PG entertainment that brought families together. And it still does. 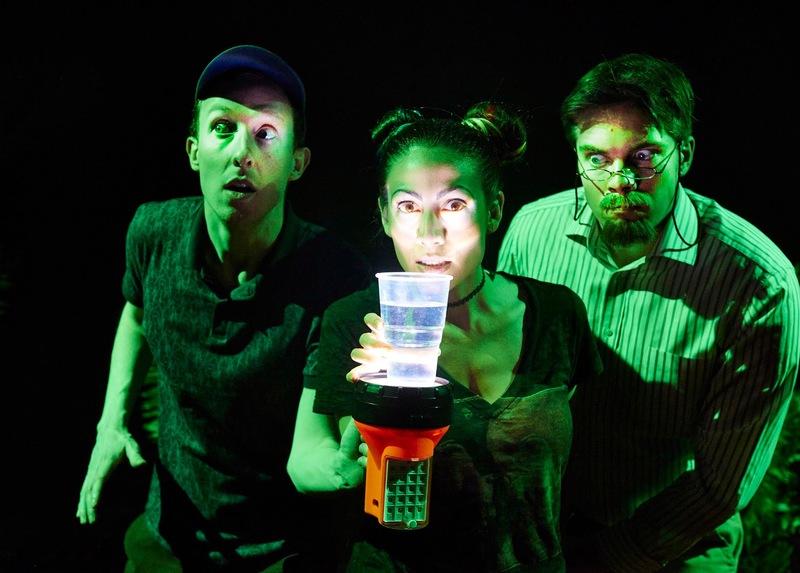 That’s what Dinosaur Park, a comedy from Superbolt Theatre, is capitalising on. It might be advertised as “The Jurassic Parody”, but that’s only half true. In reality this is a family drama wrapped up in a love of cinema. Its conceit is a memorial viewing of the film in honour of a dead mother, but when the actual video tape goes awry her two children and ex-husband are forced to act out the film on-stage instead. And, paralleling the relationship between Sam Neil’s Grant and the two kids he’s forced to protect in the film, the (appropriately named) Park family are brought together through communal appreciation of the film. Gradually the lines between film recreation and reality blur, as we witness flashbacks of family life told through quotations from the film. It’s all rather sweet, but as a family drama it lacks some bite owing to the stereotypical portrayal of characters – the geeky son, the insular daughter tied to her diary, the father fumbling his way through parenthood – and the cartoonish portrayal of the film undermining any drama. It’s also disappointing that (wavering) Bristolian accents have been used seemingly solely for comic effect. The show is at its best, then, when it’s mimicking the film. Scene changes come with the three-strong cast hilariously depicting the physicality of different dinosaurs; the gentle parodying of the film is delivered in strong comic fashion, with some spot-on perceptions of certain characters and scenes; and the use of props is charmingly done, from a toy helicopter hovering over the stage accompanied by the sound of a glockenspiel playing the theme tune, to a backpack used as a T-Rex head in one of the film’s most iconic moments that’s surprisingly realistic. There’s even room for a feminist reading of the film (all the dinosaurs are female and can’t be tamed) that is especially perceptive. 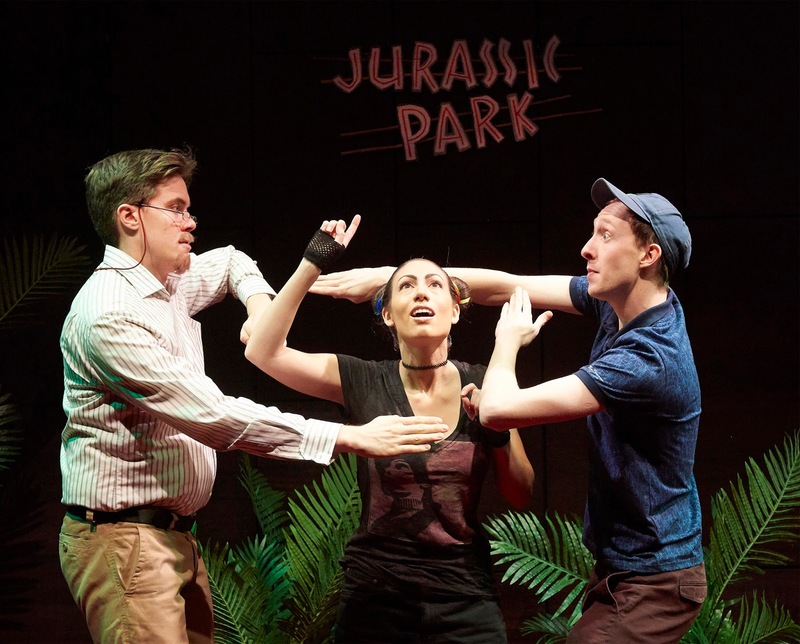 Throw in some 90s cultural jokes and a very entertaining contemporary soundtrack, and Dinosaur Park makes for an enjoyable evening. It might not be as revolutionary as the film it pokes fun at, but it’s a loving recreation with a touching little family drama to boot. Watch: Dinosaur Park runs at Wilton’s Musical Hall until 2nd July.